Bait for crayfish - fish or garlic? Fishing jig — fishing is a sport where the success of an angler depends on the ability to make precise casts, correct wiring and sharp undercuts. Equally important is the ability to find suitable bait. Jig fishing is a type of fishing lures. Usually catch predatory fish that live at great depths. There are many ways of jig fishing, they differ in the design of equipment and technique the transaction. The main element to tackle is the spinning. Its optimum length for this method of fishing is from 240 to 275 cm. You can use shorter rods, but it will reduce the range of the casts. So a short rod is only good for boat fishing. It is better to choose the rod is not made of fiberglass, carbon fiber or composite materials. For jig fishing spinning reel used with the stopper. Roller and spool should be strong, so a cheap plastic reel for this method of fishing not suitable. Fishing line can be used as monofilament and braid. If finances allow, it is better to stop your choice on the network. The sinker is a jig head. It is a lead weight attached to it a hook. For silicone lures are the most suitable offset hooks, which are used for the so-called nezatseplyayki. Jig head can be of any shape, usually they are round, oval or in the shape of fish heads. The average weight of jig head is 10 grams. As bait usually fans of jig used silicone and foam fish, spinners, maggots or earthworm. Jig fishing is that after casting gear is needed to do step of the transaction. This technique of fishing bait can imitate movement of small fish, which feed on large prey fish. Bait is thrown to the desired location and gently lowered to the bottom. After this you need to make three or four turns of the coil and wait a few seconds, then again turn the handle of the coil. With such manipulation, the lure under the water makes a zigzag motion, attracting predatory fish. The speed of transaction may be different. 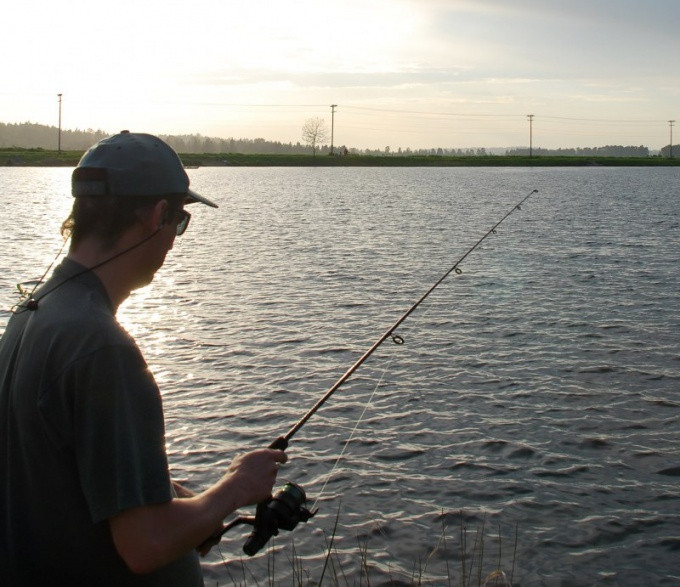 In the process of catching, you should experiment with different speed and change the bait. If in 30 minutes you have had no bites, it says that it is time to change the bait. In the absence of bites is recommended to change the place of fishing. For jig fishing suitable places such as riverbed, bottom of the pit, the sandy, shallow, areas with sudden changes in depths.